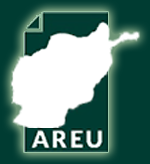 AREU researcher, Dr. Antonio Giustozzi, recently gave a lecture on the condition of Afghanistan security forces, in particular Afghan National Army. The lecture was focused on a recent AREU research titled “The Afghan National Army: Sustainability Challenges beyond Financial Aspects”. The lecture, however, covered issues further than this particular research. The lecture was attended by a number of experts and researchers on Afghanistan.